We understand your concern over the attacks from people who don’t in fact know you. 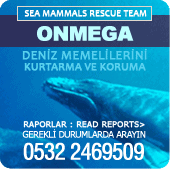 We spent 10 days for research purposes in the Onmega Therapy Center in Marmaris in 2009. We welcomed altogether the openess and collaboration of the whole team, the trainers and therapists, the playful approach of the animals, the repectful understanding and the provision of service. The complete work was great and deserves merit.